Are the prices quoted on BonusDomains.com flexible? Can offers be sent to BonusDomains? Your offer will always be considered by BonusDomains; but the pricing may or may not be flexible. It depends on the domain. The domain value depends on a range of factors, including, in particular, comparable sales, the domain length, and the denotation of the name. When addressing BonusDomains for making an offer, you should ask us to review the domain price manually. In the outcome of doing so, we may resolve to grant a rebate of our initial price. In some situations, we will decide that our initial price cannot be lowered, and it is even possible for us to determine that the initial price is under the limit. Who are the owners of the domains quoted for sale at BonusDomains? BonusDomains legally owns each domain which is quoted for sale on our website. Each domain presented on our website is on sale. BonusDomains does not render listing or brokerage services on behalf or for benefit of third parties so far. What does the transfer process consist of? After the payment is received, we make verification of the purchase, then we transfer the domain to your account at the current registrar of the domain. Transferring a domain is a manual process which takes up to 48 hours to perform the domain transfer to the account of our buyer. After receiving access to your account with the current registrar of the domain, you get the possibility to transfer the domain to any registrar at your option. 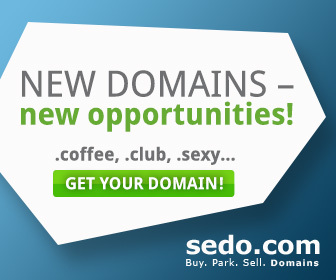 You may buy a domain through our website directly. Just type in the domain name you intend to buy into your web browser (e.g. www.example-domain.com) and click the button “ADD TO CART”. BonusDomains gives you several options for payment. All major credit cards are acceptable. Our website enables purchasing domains directly. If you want to facilitate your payment or transfer the domain on behalf of each party, the Escrow.com services may also be used. The buyer is to cover the costs related to such payment option. Furthermore, BonusDomains suggests payment through the PayPal system. Will I become the owner of the domain? Yes. After the purchase is completed, the domain will be transferred into your account. You will become entitled to full control of it. The exclusive registration rights to the domain will pass to you. You will be solely entitled to do whatever you intend with the domain after purchasing it. Such exclusive rights include rendering the domain to another registrar. Are there any add-ons to the domain? No. Nothing related to the domain, e.g. graphics, logos, texts or anything else is included. The domain name is the only thing you buy. BonusDomains will not provide hosting, e-mails or other services. You will have to search for hosting, design, e-mail and other providers on your own. We will gladly refer you to vendors and service providers outlined as the best ones. For what duration do I register my domain? For one year at least. Over that period, you retain your registration. To renew your domain, you should pay the annual fee, and it is strongly advisable to make your domain renewal for several years in advance. Typically, the annual registration renewal fee is $8 to $30, and it depends on the registrar. After acquiring a domain you get responsibility for keeping up with the domain registration. After what period is the new owner displayed in WHOIS? The data are not updated in WHOIS on an urgent basis. Normally the WHOIS information is updated during several hours. This duration also depends on the registrar – some of them are faster, some of them are slower. As a matter of fact, complete data update occurs within two days. How is privacy protected in WHOIS? If you want your domain to be privacy-protected, you may obtain this option after the domain has been transferred into your account. If the purchased domain is at NameBright, you can opt for free privacy protection upon logging into your NameBright.com account for managing your domain name. If another registrar such as GoDaddy or eNom runs your domain, you will have your privacy protection added to your domain on a paid basis. Which point signifies that a sale is completed? All sales shall be finally approved by BonusDomains, and we reserve the right to deny executing any order for any reason at any time. If BonusDomains authorizes to suspend execution of an order, but the buyer has already transferred the payment, it will be refunded immediately. Only after a domain name has been transferred into the buyer's account with the domain ownership also transferred to the buyer, the sale shall be deemed as completed. I am the owner of domain names, and intend to sell some of them. Can my domains be listed on BonusDomains.com? t is not authorized so far. BonusDomains often receives requests for listing and brokerage services. Whereas it may be feasible for us further, we do not provide listing services so far. If you want to be included in our wait-list for such service to be rendered, complete the form below.